The Arizona Coyotes have inked Nick Schmaltz to a seven-year contract extension on Saturday. The deal is worth a reported $40.95 million over the length of the new contract. 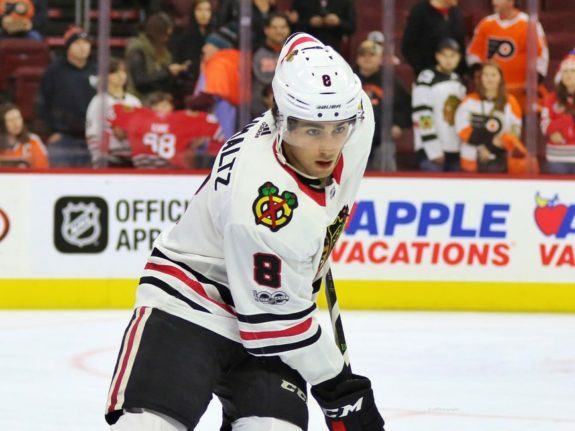 Coming over from the Chicago Blackhawks, Schmaltz hasn’t had the best luck since joining the team. Going down to a serious injury, he’s only played 17 games, scoring five goals and nine assists. Those 14 points in 17 games was apparently enough production that the Coyotes felt an average annual salary of $5.85 million was fair value. In their defense, in 2017-18, Schmaltz did score 52 points in 78 games for the Hawks before the team decided to move him for Dylan Strome. While Schmaltz is a good player and there is tons of hope in Arizona that the 23-year-old will be a huge part of their young core moving forward, his lack of playing time with the Coyotes has left most people calling the trade that took place in the first-half of the season a real win for the Blackhawks. 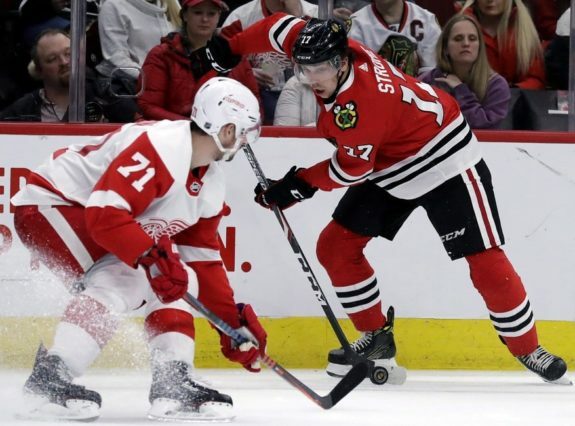 Strome came back in the deal and immediately clicked with former teammate Alex DeBrincat, boosting the production of the entire Blackhawks organization and giving them a real shot at the postseason after being last in the NHL standings for some time. Strome has 45 points in 53 games for the Hawks and while the team is not going to make the postseason, it looked like they had a legitimate chance to make a run and he’s going to be a massive part of their future. He is finally starting to realize his potential as a third-overall selection in the 2015 NHL Entry Draft. But, those who are calling the trade a major win for the Blackhawks might be writing off what Schmaltz can do too soon. With an increasing cap and a bounce-back year for Schmaltz, this contract could be a home run, and Arizona has a surplus of money available. Schmaltz plays a great two-way game and was putting up serious points when he first arrived. The Coyotes may take some heat for this extension out of the gate. With only one strong season on his resume in the NHL, there isn’t a guarantee this deal will pan out. Still, the Coyotes have taken the approach of paying for talent their pro scouts deem able to grow into their deals and before they really start to produce. If Schmaltz can achieve the level of success he had when he first arrived in Glendale, the team should be just fine.